TV can be a cruel, cruel place, and we're not even talking about the writers' rooms. Here are some of the small-screen deaths that shocked us the most (stop here if spoilers aren't your thing). FX's "Sons of Anarchy" didn't hold back as it ended its run after seven seasons. In the penultimate episode, the show's main character, Jax Teller (Charlie Hunnam), fatally shot his mother, Gemma (Katey Sagal). That jaw-dropping moment was followed by the death of Jax himself in the series finale. Fan favorite Trip (B.J. 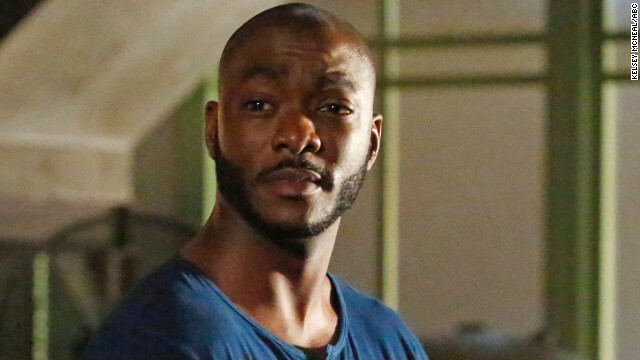 Britt) on "Marvel's Agents of S.H.I.E.L.D." met a disastrous end on the show's midseason finale in December 2014. In an attempt to rescue Skye just as the mysterious Obelisk was activated, Trip was turned into stone as a result. "The Walking Dead's" midseason finale in November was a heartbreaker. 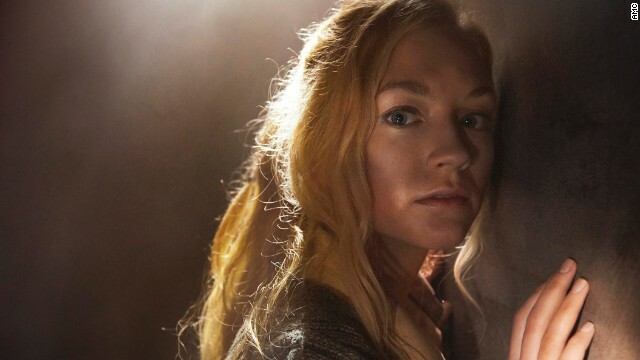 Emily Kinney's Beth got into an altercation with Dawn (Christine Woods) that led to her death. Several fans turned to Twitter to admit that Beth's tragic ending left them in tears. "Chicago Fire" started off its third season with a gut punch. We knew to expect casualties after season 2's building explosion, but that didn't make it any easier to say goodbye to paramedic Leslie Shay (Lauren German). She didn't die in vain, though: Executive producer Matt Olmstead told Entertainment Weekly that the intent is to have her death shake up the storylines for the coming season. When "True Blood" met its true death in its series finale on August 24, it dragged one of its main characters down with it. 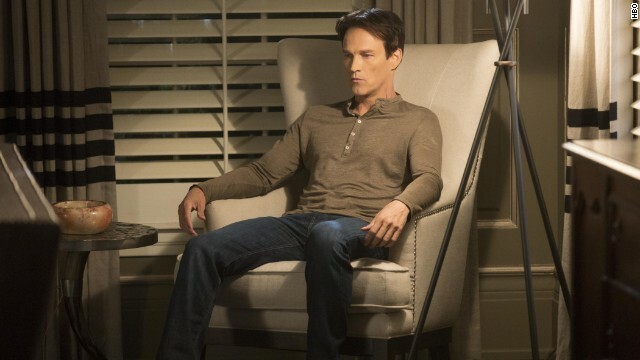 In a surprising twist, the writers actually killed off Stephen Moyer's Bill Compton. The toughest part to stomach? They had his one love, Sookie (Anna Paquin), do the staking. Not that "True Blood's" seventh season hadn't been breaking hearts left and right. 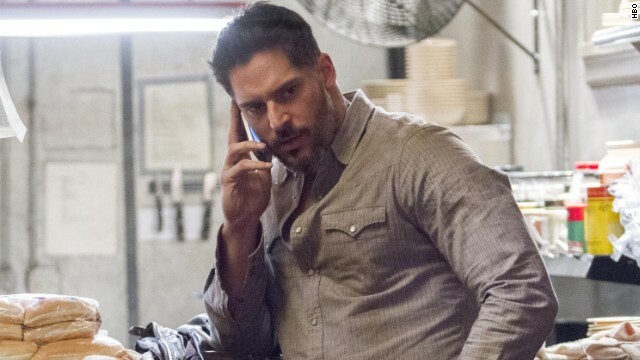 After kicking off the final stretch of episodes with a surprising death (which you'll hear about next), the HBO staple axed Joe Manganiello's beloved werewolf, Alcide, in the third episode. During "True Blood's" June 22 season premiere, Rutina Wesley's vampire Tara met her final death while protecting her mother. Viewers were caught off-guard by Tara's sudden demise, but Wesley wasn't, and she supported the decision. "I think it's great," she told Entertainment Weekly of her character's death. "I think somebody had to go." 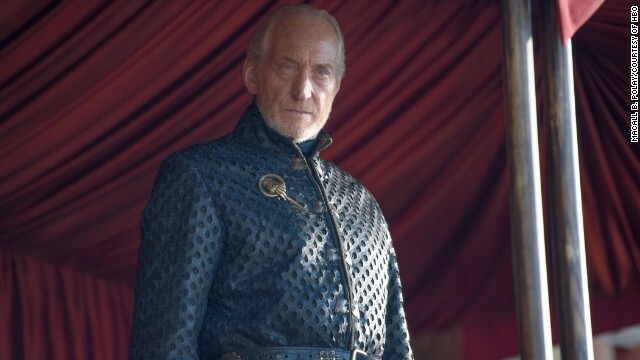 It seemed almost poetic that Tywin Lannister (portrayed by Charles Dance) was killed by his son Tyrion on an episode of "Game of Thrones" that aired on Father's Day 2014. It was a less than dignified end for the Lord of Casterly Rock, who bought it while on the commode. 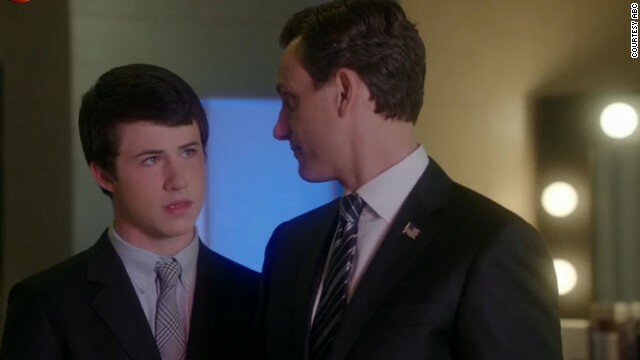 On the April 17 season finale of "Scandal," creator Shonda Rhimes threw out a death-murder plot that stunned fans and altered the fate of one of the drama's main characters, President Fitzgerald Grant (Tony Goldwyn). No one lives long in the world of HBO's "Game of Thrones," but for a while it seemed that only the good were sentenced to be written off the show. Thankfully, season 4's Purple Wedding proved that death comes for the wicked just the same -- even when that person is the king of the realm. 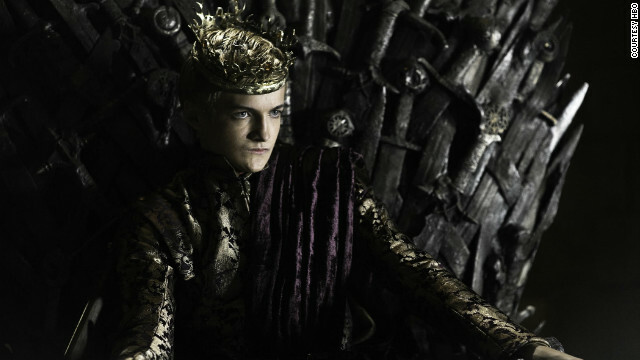 So long, King Joffrey! 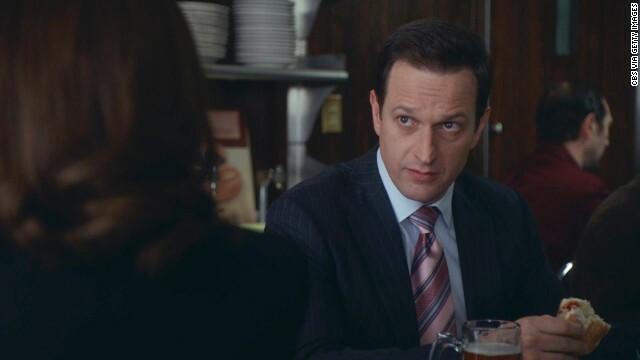 Josh Charles' turn as lawyer Will Gardner on "The Good Wife" has come to an end. The character was killed off in the 15th episode of the fifth season. "We've all experienced the sudden death of a loved one in our lives," the showrunners said in an explanatory letter. 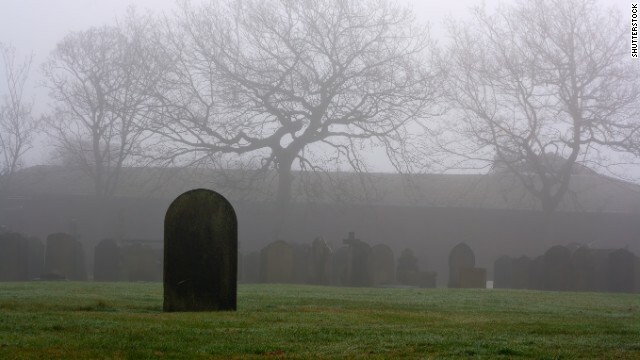 "Television, in our opinion, doesn't deal with this enough: the irredeemability of death." 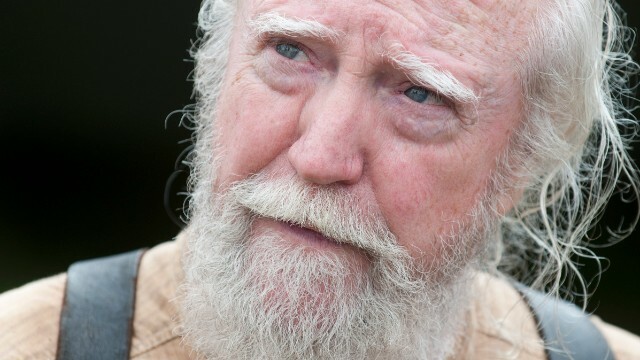 The death of the wise doctor, Hershel, during "The Walking Dead's" fourth season broke some hearts. 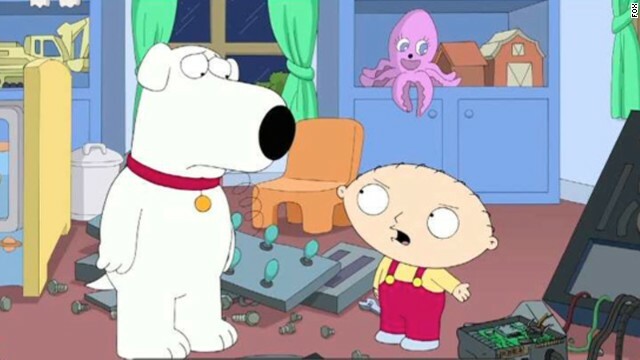 On the November 24 episode of Seth MacFarlane's long-running "Family Guy," fans were stunned to watch one of the animated comedy's central characters bite the dust. The family dog, Brian, lost his life after being hit by a car. Author Helen Fielding killed off Mark Darcy in her latest Bridget Jones novel, "Mad About the Boy." 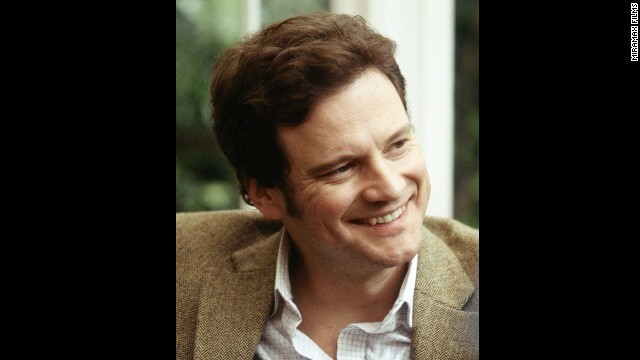 Fans are reportedly not happy about the loss of Darcy, played by actor Colin Firth in the films. Rick Grimes (Andrew Lincoln) and Lori Grimes (Sarah Wayne Callies) didn't have a chance to live happily ever after on "The Walking Dead" since she died in childbirth. The character of medical student Lucy Knight (played by Kellie Martin) was stabbed to death by a mentally disturbed patient on "ER." 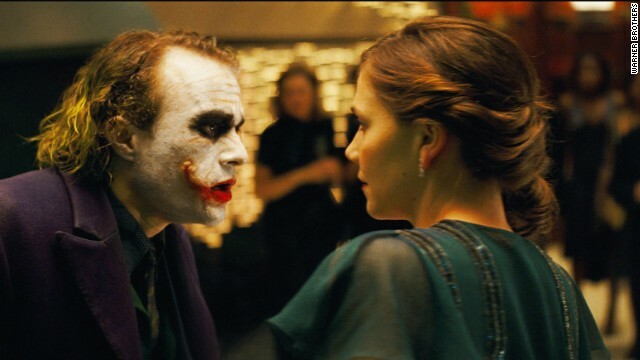 Heath Ledger starred as the Joker and Maggie Gyllenhaal as Rachel Dawes in "The Dark Knight." The death of Rachel hit Bruce Wayne/Batman hard. The birth of her daughter should have been a joyous time for Lady Sybil Branson (Jessica Brown Findlay) and her husband, Tom (Allen Leech), on "Downton Abbey," but fans were shocked when tragedy struck. 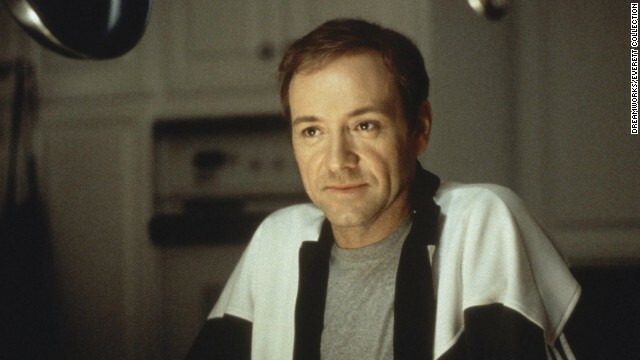 The death of Kevin Spacey's character Lester Burnham in the 1999 movie "American Beauty" is accompanied by poignant words at the end of the film. 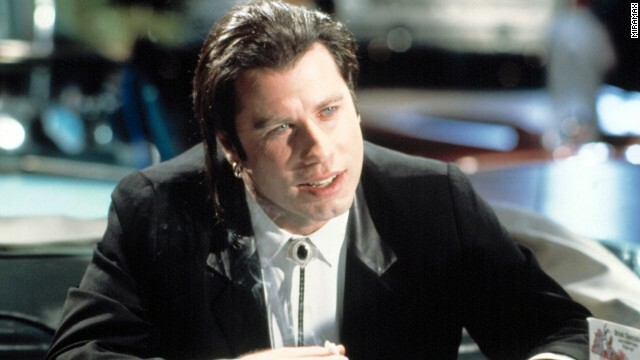 The revival of John Travolta's career via playing hit man Vincent Vega in the 1994 film "Pulp Fiction" was almost as surprising as the way his character gets taken out in that film. Toaster pastries, anyone? Killing off a popular character early on has almost become a trademark of HBO shows (remember Stringer Bell on "The Wire"?) 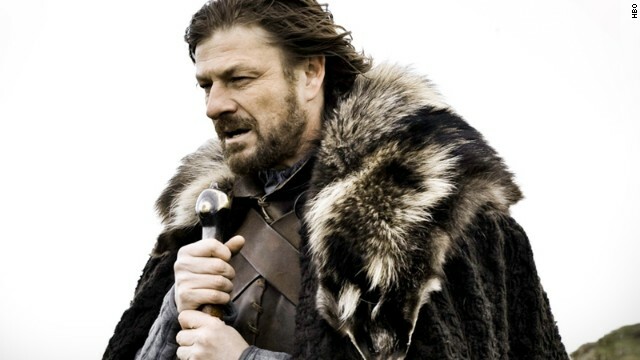 so fans really shouldn't have been stunned when Sean Bean as Eddard "Ned" Stark lost his life during the first season of "Game of Thrones." 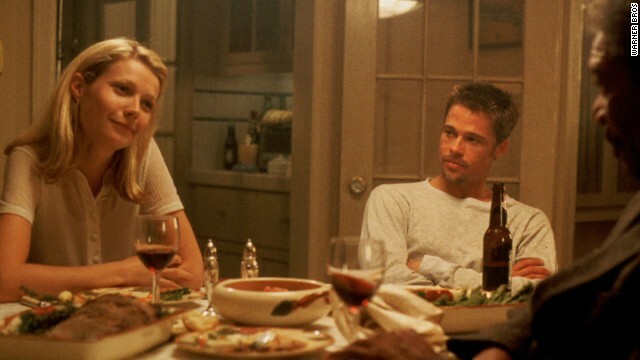 Viewers didn't actually witness the death of Gwyneth Paltrow's character Tracy in the 1995 film "Se7en," but "The Box" was enough to shock Detective David Mills, played by Brad Pitt -- and us viewers. "The Sopranos" offered up plenty of killing, but the murder of Adriana La Cerva (Drea de Matteo) struck a nerve with fans. 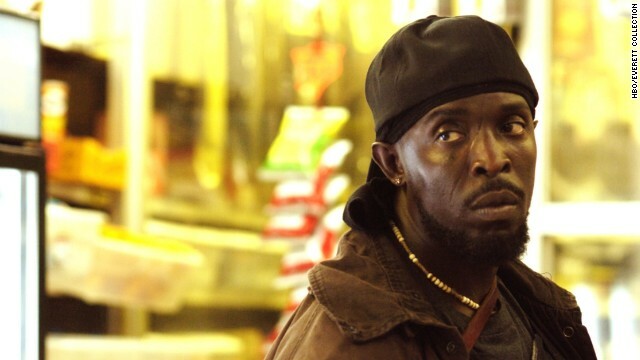 Michael K. Williams plays Omar Little, who was a bit of a Robin Hood on the critically acclaimed series "The Wire." His death in season five was more shocking for the manner in which it happened than that it happened in the first place. 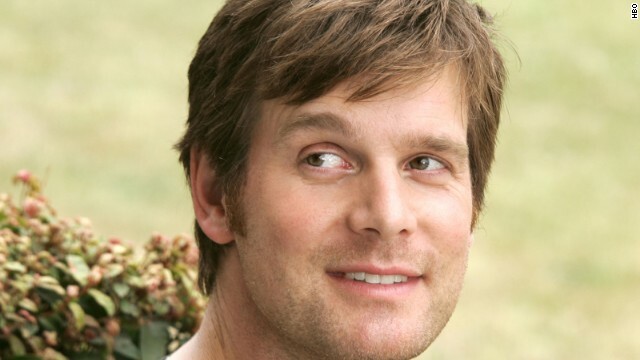 Peter Krause starred as Nate Fisher, who was expected to survive after a brain hemorrhage but ultimately died -- like the rest of the cast -- on "Six Feet Under." 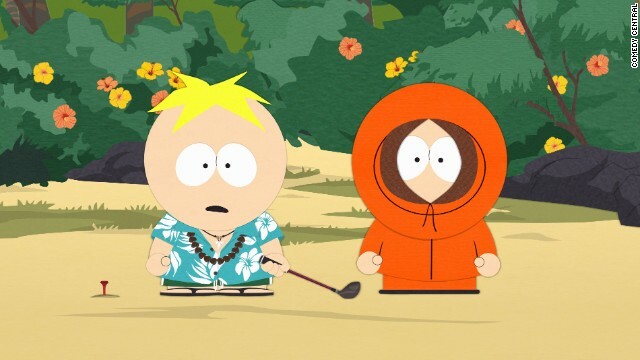 Is there any character on TV who's died as often as poor Kenny on "South Park"? The hooded kid has met his maker via death by tree, chicken pox, mosh pit and even giant bird. By some counts, Kenny has bid farewell roughly 89 or 90 times. (CNN) -- It's a shame what "Family Guy" has done to its dog. The intelligent and verbose pet was headed into the street to play with his ace companion, mischievous baby Stewie, when he was struck by an oncoming car. His injuries were so severe, he ended up having to say farewell to the family he's bonded with since 1999. OUT OF ALL CHARACTERS THEYRE KILLING OFF BRIAN. 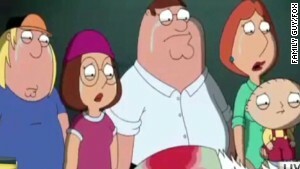 WHY COULDN'T THEY KILL OFF MEG? To make matters worse, the series has replaced Brian with another pup named Vinny, voiced by "The Sopranos' " Tony Sirico. According to "Family Guy" executive producer Steve Callaghan, creator Seth MacFarlane is a "big fan of 'The Sopranos' and always loved Tony Sirico in particular, and he thought it would be fun to write a character based around his voice and his personality," he told E! News. Apparently, the idea to kill off Brian was thrown out into the writers room, and "it sort of caught fire" as "a fun way to shake things up." "As soon as this idea came up, we started talking about what the next couple episodes could be, and we got very excited about the way this change will affect the family dynamics and the characters," Callaghan said. MacFarlane's hit is now in its 12th season, and the creator has said that he'd be OK with "Family Guy" ending its run. In an October 2011 interview with The Hollywood Reporter, the multitasking actor/writer/producer said he'd have been fine with wrapping the series a few years ago. "Part of me thinks 'Family Guy' should have already ended," he told the magazine. "I think seven seasons is about the right lifespan for a TV series. I talk to fans, and in a way I'm kind of secretly hoping for them to say 'we're done with it.' "
Viewers might wonder whether this move is a way to dissuade them from tuning in, but Callaghan doesn't foresee any backlash. "Our fans are smart enough and have been loyal to our show for long enough, to know that they can trust us," he told E!. "We always make choices that always work to the greatest benefit of the series."